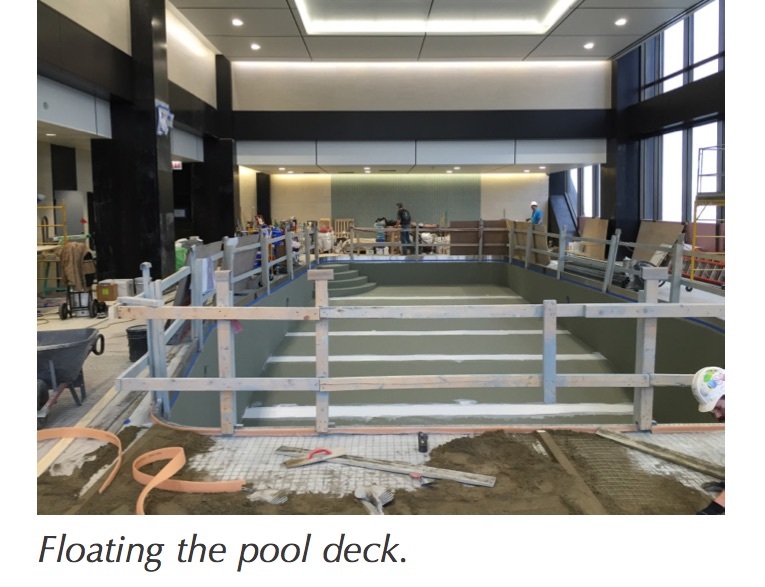 Chicago’s iconic John Hancock building was put into service early in 1970, but 46 years later, one of the world’s highest indoor swimming pools drastically needed an update. 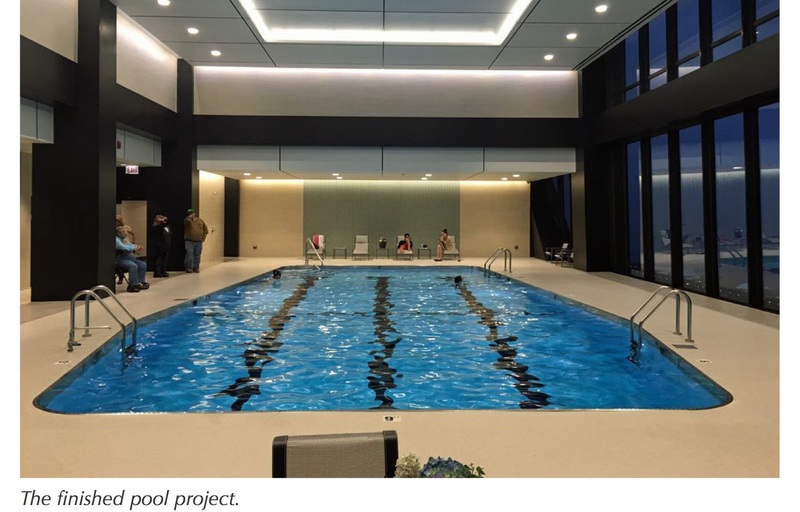 Archimage Architects, Ltd. was awarded the project of a full remodel on the existing health club, including the pool and locker rooms. The space was gutted down to original concrete substrates, but until the demolition was complete, no one knew for sure what they’d find. 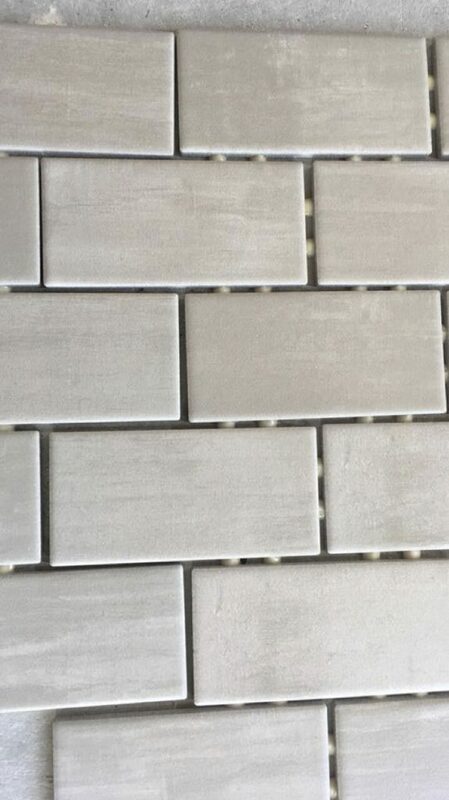 Clune Construction, the general contractor, awarded the tile contract to Trostrud Mosaic & Tile Co., Inc., early in the bidding process, due to the 10-week lead time needed for procuring the Italian porcelain tiles. This proved to be a fortuitous decision due to the on-the-job meetings with architects Kirk and Sheryl Stevens. Trostrud was intent on setting a level-of expectation regarding the flow or puddling of water, at the barrier-free showers and the pool deck, insisting on a minimum 1/4” per foot pitch to drain to avoid pooling of water in the deck and locker rooms. The condo association balked, expecting the pool deck to drain just like a large shower floor. This conflict presented significant challenges, including a drainage drawing that was modified three times before getting agreement from all parties. The existing pool was to receive a new stainless steel coping that would be set as high as possible to allow for the required pitch. At the perimeter of the pool deck Trostrud was required to meet existing aluminum flashing which could not be changed. The final drainage drawing consisted of several linear drains and many spot drains. When the demo was complete and the tile mud beds were removed, it was clear that the existing concrete subfloor at the locker room required significant help. Leaking showers had caused rebar to rust and expand, fracturing areas in the sub floor. With the help of a structural engineer, the slab was rebuilt. All the adjustments resulted in a four-week delay in an already-aggressive schedule. Once the floors in the locker rooms were resolved, the first phase went off without a hitch. The pool deck was another story. The pool contractor set his stainless steel coping 1/2” lower than agreed. Trostrud discovered the error when setting spot drains, in the beginning of the pool mud-bed installation. This greatly complicated the installation, and correcting the coping was not an option. The new schedule also required Trostrud to mud set over a freshly poured, uncured concrete slab. 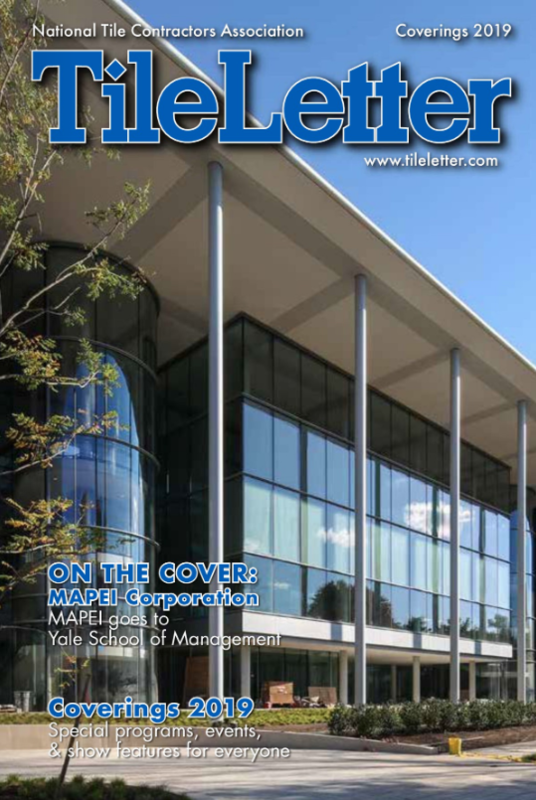 Even though Trostrud was using a floating mud bed, they worked with Tyler Barton from MAPEI and the concrete contractor to devise a better solution. It was determined that Barrier One Porosity Inhibiting Admixture, added to the mix, would allow Trostrud to cover the slab in 10 days. The Italian porcelain tile was Caesar Uniqua in Tiburtina, Argentum and Imperium, and well as a solid black tile by Caesar. 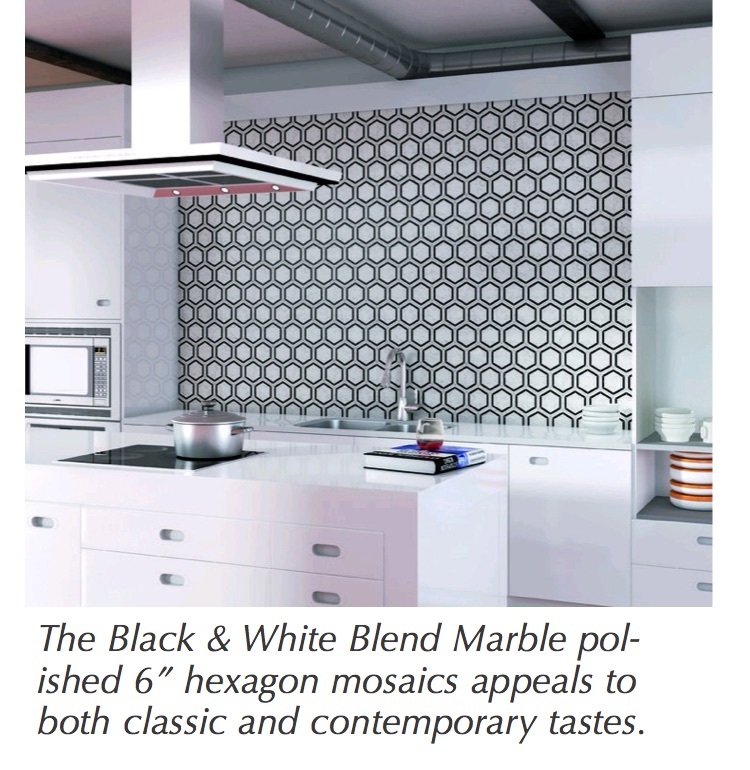 Glass mosaic was from Island Stone. 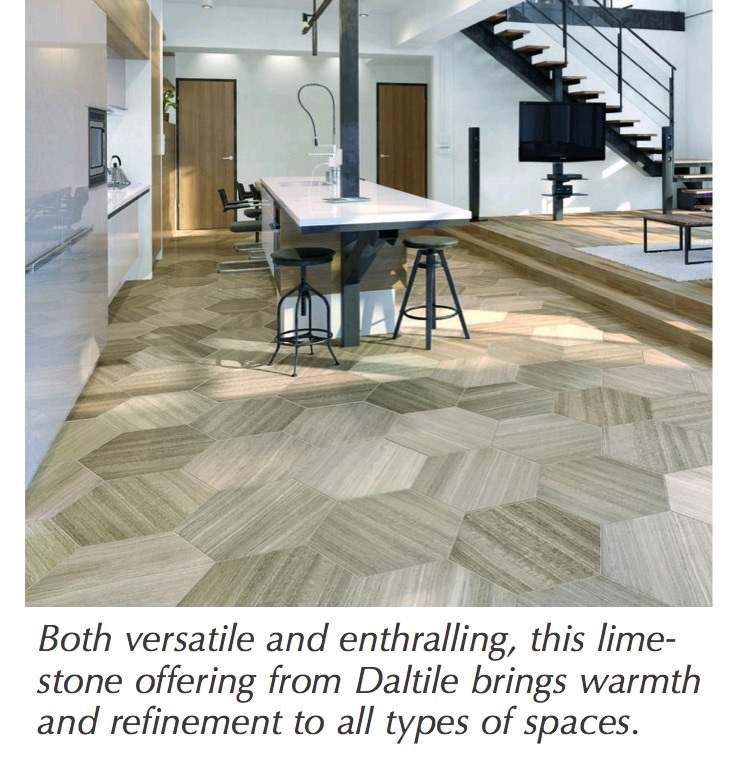 Products were sourced through Virginia Tile in Wood Dale, Ill., and set using MAPEI products, including Ultracolor Plus, Keracolor U, Ultraflex LFT, AquaDefense, Adesilex P-10 and Mapecem Quickpatch. When the job was completed, the condo board and Archimage Architects were extremely satisfied with the results. 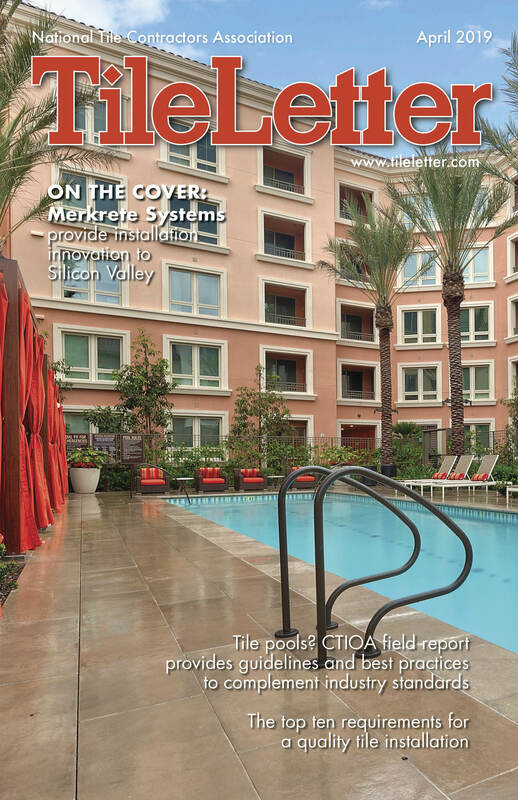 For this month’s Stone section, we went to Roy Viana, Dal-Tile Director of Natural Stone and Slab and Carlos Chiu, Dal-Tile Product Manager of Stone Tile and Sourced Mosaics to get an overview of issues pertinent to stone selection, maintenance, and installation for the professional tile contractor. The first step in a stone installation is to select the stone, not just for aesthetics, but also to be sure the characteristics of the stone match the intended application. Both Viana and Chiu agreed that natural stones – granite, marble, soapstone, limestone, travertine, etc. – all have specific technical characteristics that make them unique, and make them perform differently in a given setting depending on use and customer lifestyle. Is it an interior or exterior application? Will it be subject to freezing and thawing conditions? Is slip resistance a concern? Will the stone be in contact with water or humidity? Will it be a floor or wall application? Is it a high or low traffic area? “Once you know the answers to these questions you will be able to narrow down the stones that are suitable for your application,” he said. A sealer is important, Viana echoed, as an effective precautionary measure against damage caused by everyday use. “The sealer creates a protective layer over the surface of the stone, preventing liquid from being absorbed and causing discoloration,” he said. “Proper application of a sealer is extremely important.” It’s also important that the proper TYPE of sealer be applied, so become familiar with sealer options and consult with the stone supplier or sealer manufacturer to be sure the product will enhance – and not harm – the stone. 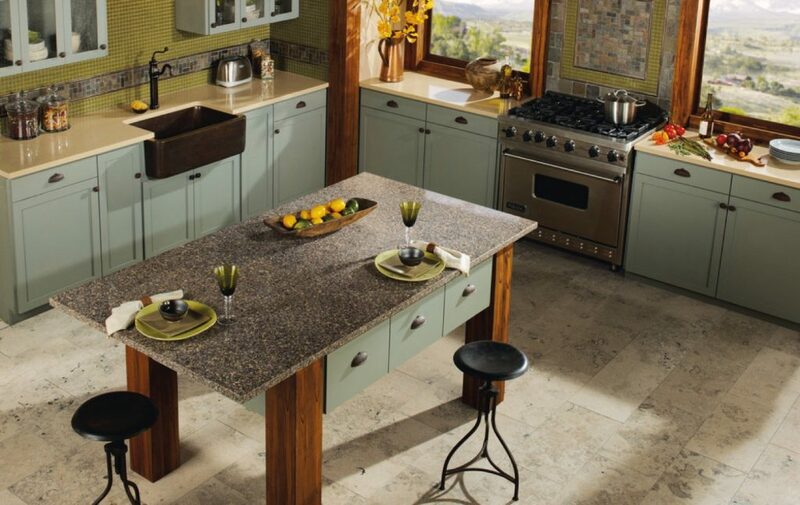 During the actual installation process, consider the stone characteristics before selecting setting materials. “For example, there are some stones that react to water and installing them with a regular thinset will cause the stone to curl,” Chiu said. “To prevent this, an epoxy needs to be used. In addition, some stones have reinforced backings, such as resin or mesh backings. Therefore, any stone with these types of backings needs to be installed with epoxy. Exterior applications sometimes require special setting materials. Once installed, counsel your client on maintenance to ensure long life and beauty of the stone. “Keeping the surface clean is the golden rule of natural stone,” Viana said. “As a porous stone, it can be susceptible to stains and discolorations from various liquids, especially the acidic ones. Citrus juice, vinegar and common household cleaning products can cause damage to certain natural stone countertops, such as marbles.” Spills should be wiped up immediately. Cleaning the stone should be done with specially formulated cleaning products designed for natural stone, Viana said. Also he suggested keeping stone away from toiletry products which may contain chemicals that damage stone. Keeping products on a mat or in a decorative basket can protect stone, as does using coasters on bathroom countertops. 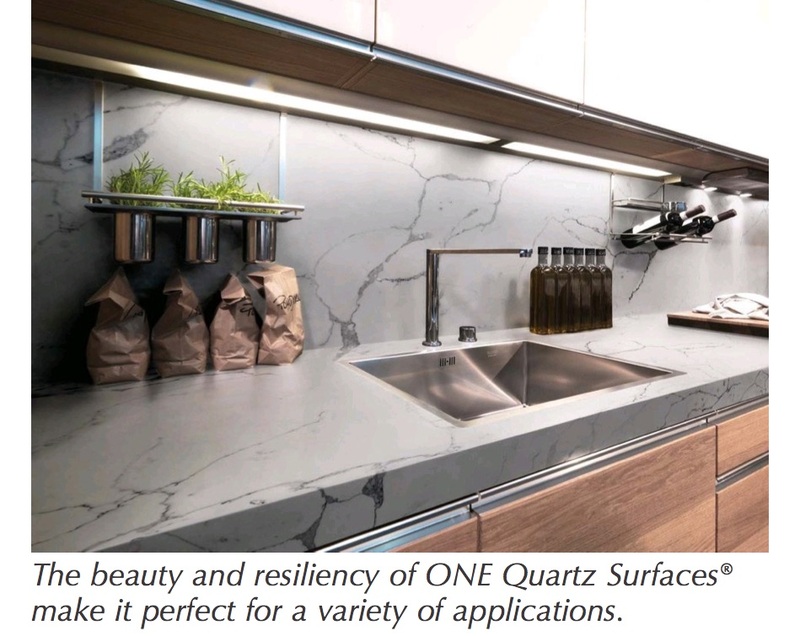 “Being proactive about keeping your natural stone clean will significantly increase its longevity while maintaining its beauty,” Viana said. Direct heat can also discolor stone, so stone countertops should be protected from hot pots, plates and pans by using trivets and mats as barriers between the hot items and the stone. “Bathroom counters are especially vulnerable to forgotten hair curlers or straighteners, which can burn, and even crack, some stone due to ‘thermal shock’,” Viana said. 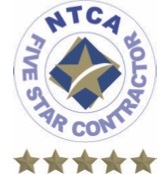 50th Five Star Contractor Member – Trostrud Mosaic & Tile Co.
Trostrud Mosaic & Tile Co., Inc., was founded in 1929 by Earl J. Trostrud Sr., originally concentrating primarily on residential construction as it worked hard to create a solid reputation. At the end of 1939, with the outbreak of war in Europe, the company temporarily closed, and Earl Trostrud Sr. went to work making aircraft engine parts, and in the construction department of Kraft Foods. 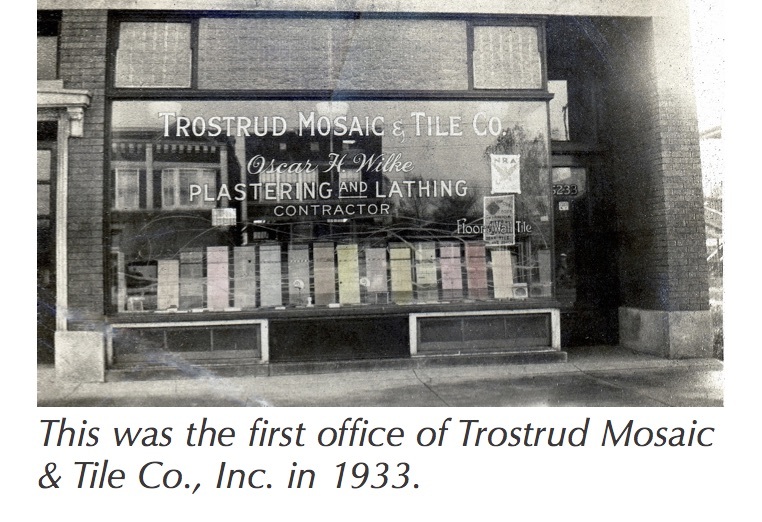 In postwar 1946, Earl Trostrud Sr. reopened Trostrud Mosaic & Tile Co., Inc., still focusing on the residential market and building its reputation for quality and craftsmanship. In 1957, Earl Trostrud Sr. started pursuing commercial contracts and was awarded several gas station projects. These successful projects whetted the appetite for more commercial work. In the spring of 1958, after graduating St. Olaf College in Minnesota, Earl Trostrud Jr. joined his father in the tile business and they both pursued commercial contracts, with the same ethics of quality workmanship, integrity and honesty that the company was founded on. They committed to treating everyone – no matter your role in the company or as a business partner – the way they would want to be treated. In the summer of 1975, Earl Trostrud Sr. retired from the tile business. Ten years later – after graduating from University of Wisconsin Stout with a major in industrial design/product design and a minor in graphic design, and working in these fields – his grandson Brad Trostrud decided to give estimating a six-month try, working alongside his father Earl Trostrud, Jr.
Brad relished the opportunity to work with his father and to strengthen the bond. By now the company, based in Wood Dale, Ill., had grown to be 15% high-end residential and 85% commercial. It turned out to be a rewarding decision for both of them. Earl, now in his early ’80s, is still working every day, and holds the title of president. Brad is the vice president. 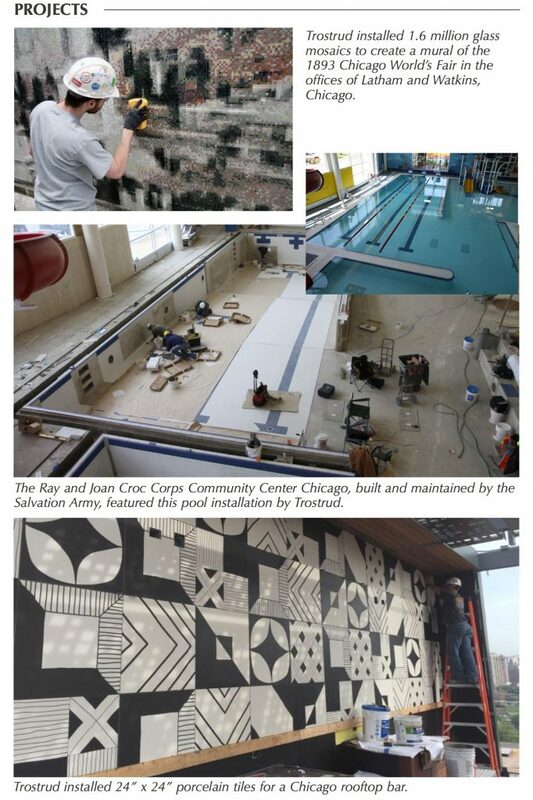 Earl and Brad have always been very active in the Ceramic Tile Contractors Association of Chicago (CTCAC) and Tile Contractors Association of America (TCAA), both serving in every position. 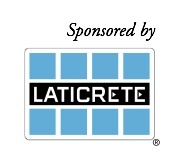 Earl helped found the Chicago Tile Institute promotion fund to uphold the value of union-installed tile and stone. Earl is also the chairman for the Pension and Welfare fund since 1990, and served as a Zone Director for the TCAA in the ‘70s. In 2013, Earl was awarded the Carl V. Cesery Award that recognizes distinguished service to the tile industry. 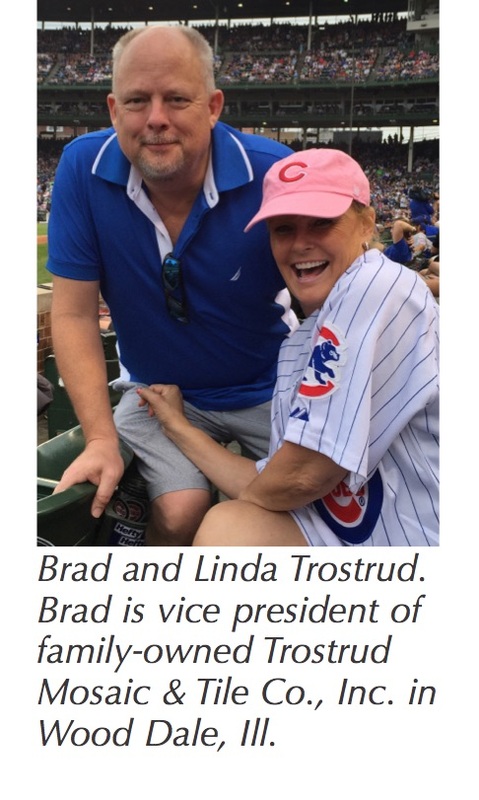 Brad serves on The National Tile Contractors Association (NTCA) Technical committee and Tile Council of North America (TCNA) Handbook committee. 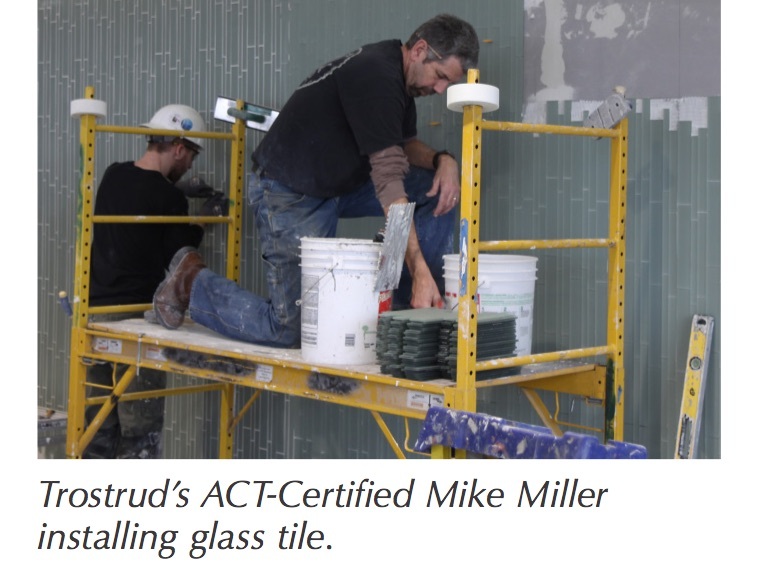 Brad was also involved in the creation of Advanced Certifications for Tile Installers (ACT), a certification program to provide a level of consumer confidence for installation procedures that exceed ANSI Standards and TCNA guidelines. Brad has also served as director, treasurer and now is president elect for TCAA. Brad came to NTCA through a Trowel of Excellence/Five Star Contractor meeting at the Crossville plant a few years ago, where he met Artcraft’s James Woelfel and David Allen Company’s Chris Walker. Since union setters and finishers go through an extensive apprenticeship program, CTI certification wasn’t a requirement for Trostrud’s Five Star Contractor status – NTCA’s 50th Five Star – but the company has five ACT-certified setters nonetheless, one of whom was tapped by the union to be the Chicago-Midwest head instructor for the BAC IMI. 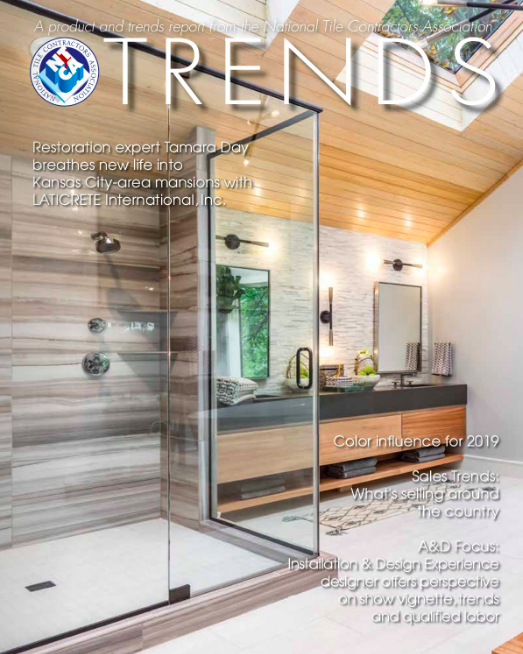 “We are not interested in being the largest or the least expensive tile contractor – we will not compromise on quality – we just want to be known as the best,” Brad Trostrud said. One of NTCA’s newest member benefits is Zlien, a company that assists over 24,000 contractors nationwide in protecting lien rights and reducing financial risk. Zlien’s mission is to empower successful construction projects by getting the lien rights “mess” out of the way. Zlien’s website (zlien.com) explains that “Mechanics lien and bond claim rights are connected to every payment in construction – a $960 billion a year industry. By helping material suppliers, lenders, and everybody in between easily manage these rights, we strive to facilitate successful projects, smooth payments, and happy people. Building a fair payment process for the construction industry, Zlien’s cloud-based platform makes lien rights easy. Construction firms, contractors, suppliers, and other project stakeholders nationwide use Zlien to eliminate the administrative headaches and legal guesswork associated with lien waiver exchanges, preliminary notices, and mechanics lien compliance. Visit the Member Benefits section of the NTCA website at www.tile-assn.com to find out more about how Zlien can help you. Interested in becoming a member to make the most of this and other member benefits? 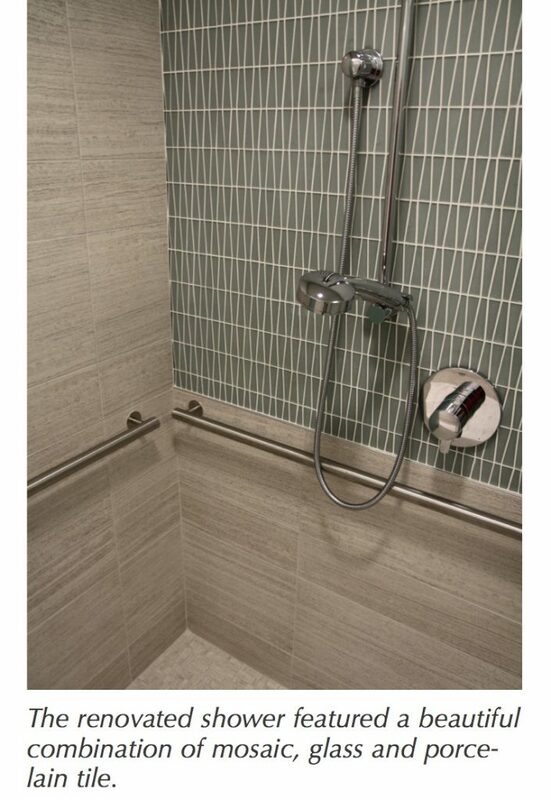 Contact Jim Olson at [email protected] tile-assn.com. On Dec 29, 2017, on the NTCA Members Only Facebook page, a discussion developed from comments from NTCA Member Damian Arine of Sun Country Customs in Arroyo Grande, Calif., about the challenges of contractors dealing with substandard tile. This discussion spurred the desire to investigate how contractors around the country are dealing with similar challenges, in two parts – looking at the problem; then looking at the solutions. We do not have the space here to detail ALL of the horror stories about substandard, out-of-caliber, incorrectly fired, etc. tile, but suffice to say that every contractor we contacted had experienced this at one time or another. 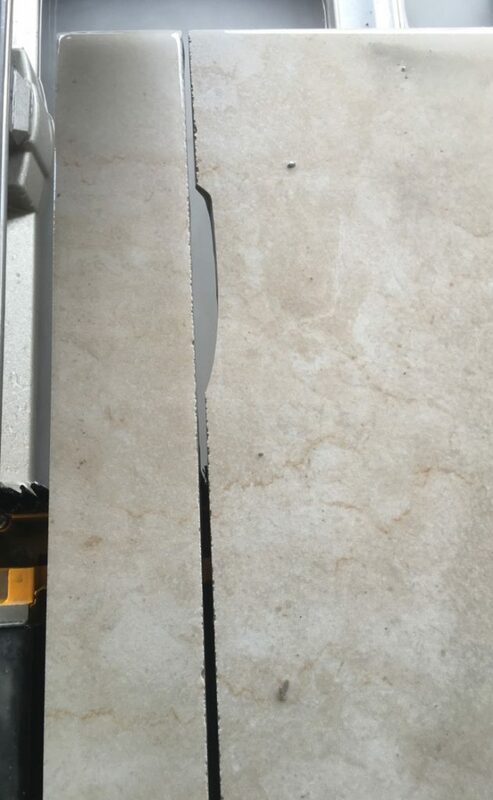 Jeremy Waldorf of Legacy Floors in Howell, Mich., described a nightmare 550-sq.-ft. job in which the 12” x 24” porcelain tile sourced from a local distributor started breaking “in strange patterns” and resulted in pieces “literally falling out of the middle of the tile.” No matter what Waldorf tried, this continued. 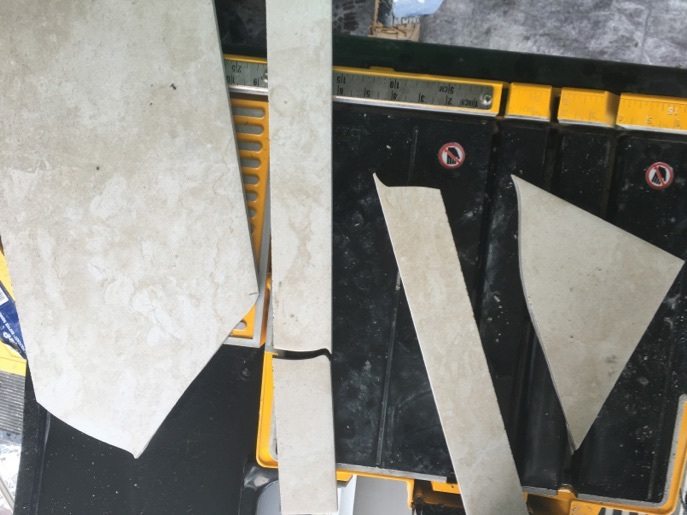 When he contacted the supplier, the rep told him that it was a firing issue that made the tile brittle and the installed tile would be durable, but each tile would have to be waterjet cut. “That just wasn’t going to happen,” Waldorf said. 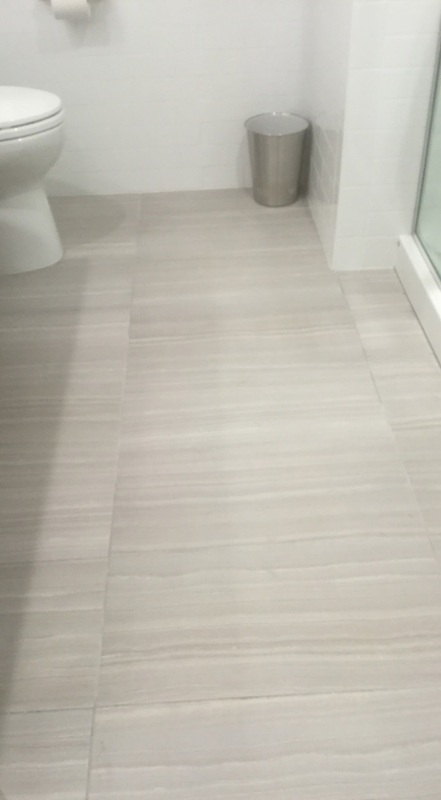 Though the supplier took the tile back and refunded the client’s money, it still meant this one-man business had to load up 550 sq. ft. of tile back on the truck, have the client re-select a new tile and then deliver the new truckload of tile three days later. His solution was to never use that brand of tile again. [email protected] with your suggestions, experiences or observations on this topic. We found the stress cracks in the floor several days after the tile was installed. I had never seen anything like this in my 40 years of being in the trade, and neither had my tile man. They showed up as slightly wavy white lines in the marble. There was not a black line or crack you feel. We removed a couple of tiles where two stress cracks intersected. The tile was well bonded to the 1/2” cement board below the tile. There was no intersection of sheets of cement board below the crack. The cement board looked sound. We removed the cement board to expose the tongue-and-groove plywood subfloor below. Where the cracks intersected in the floor was exactly where a sheet of plywood stopped and started. The cracks lined up with long 8’ run and one 4’ run. So, somehow whatever movement took place in the sheet of plywood transferred up through the cement board to the tile. There were no cracks in the cement board and it was firmly bonded to the plywood. We took up all the tile and cement board. We checked the subfloor with a laser to see if the floor was showing any signs movement. The entire floor was within 1/8” of level everywhere we checked. There were no ridges in the plywood where the sheets butted together. The only suspicious thing I found was an area along the 8’ side of the plywood where the tongue of one sheet was not fully engaged in the groove of the other. This meant that there could be more flex in the plywood than there should have been. We removed the sheet of plywood and checked the framing. The new joists we sistered onto the existing joists were 2” x 8”. They were nailed soundly to the existing 2”x 10” that were all over 2” thick. These joists spanned from the living room wall to the exterior wall. They also pass over the wood columns and beams that divide the stair well from the entry hall. The floor platform was really strong and robust. The plywood had been installed with construction adhesive and ring shank nails. It was fully bonded to the framing and very difficult to remove. We could not see any good reason why the tile came to show the stress cracks. The only reason that I could come up may have had to with using adhesive to bond the plywood to the framing. I have seen problems in other areas due to adhesive shrinking as it dries. We have found when wall board is installed with adhesive and screws that the screws and plaster above them can show up as little humps on the surface of the board as the adhesive dries and pulls the wall board closer to the framing. It is only a fraction of an inch but I have seen this happen many times before – as the board moves closer to stud and the screw stays fixed, you get a hump. This is only a theory but if the plywood got pulled tighter to the framing as the glue dried, could that small shift in the floor sub floor cause the crack in the tile? Total guess. Also the non-fully-engaged tongue could have had something to do with it on the long side. Though short side of the ply was firmly seated on a joist, and we had stress crack here, too. Marble is much softer than other stones or porcelain tile. Like I said before, I have never seen this happen before and we have used this type of assembly successfully for many years. Anyway, we decided to add rows of blocking between the joists along the 8′ length to make sure that side of the plywood was more secure. We re-installed the plywood and were planning on using uncoupling membrane under the tile to avoid further stress cracks in the marble. I suggested to the client that he might like another type of floor material to avoid any other chance of this happening again due to the softness of the marble. I understand everyone’s reluctance to do this, but I just wanted to increase our chances of having no further complications. The tile installer feels pretty confident the uncoupling membrane will do the trick. My stone guy examined our tile and he said the product was as sound as you are going to get with Carrara marble. Good to hear from you. 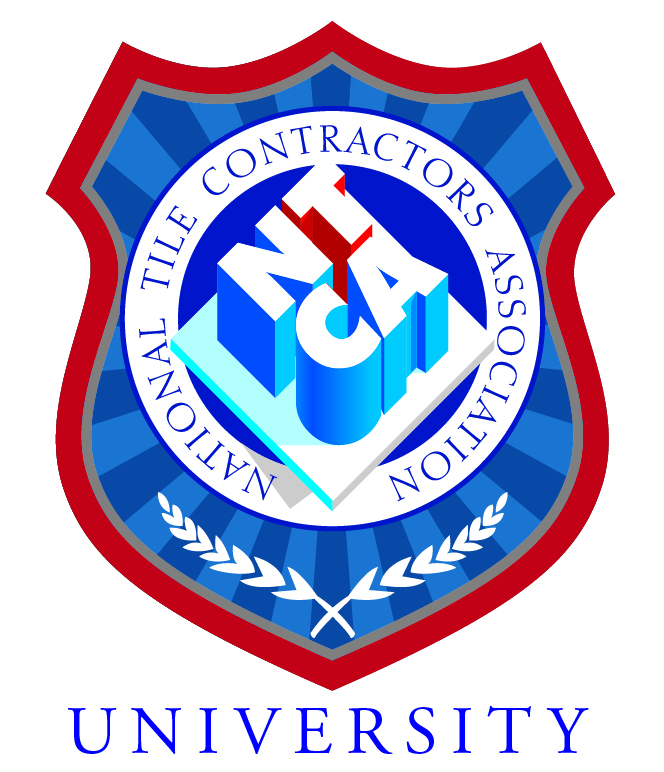 As you are aware, the NTCA always encourages people to follow industry guidelines set by both the Tile Council of North America (TCNA), and American National Standards Institute (ANSI). I was able to read the correspondence about this stone tile failure. The questions raised are covered in our industry standards. The assembly that failed was a backer board installation over plywood. Attached is the diagram from the TCNA Handbook method F250, which is the closest method to what was described. If you notice two layers of plywood are required underneath the backer board install. For a similar installation using ceramic only one layer of plywood would be required. That detail is found in method F144 on page 162 of the 2017 TCNA Handbook. 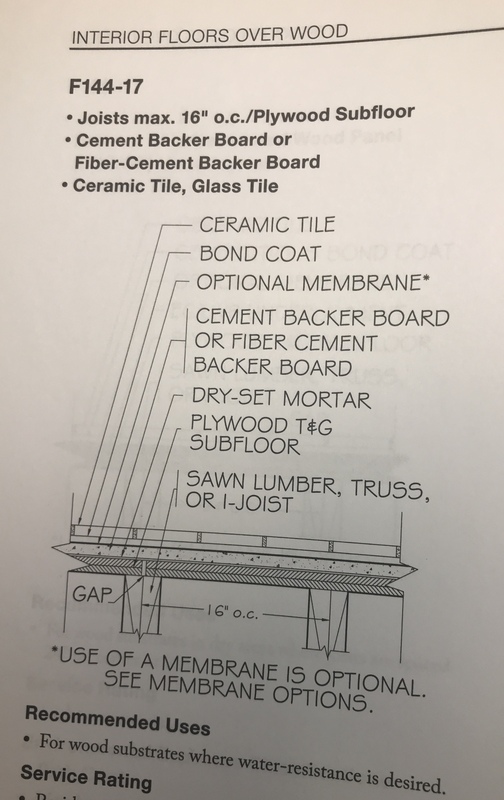 There are two standards for allowable deflection in tile installation. For ceramic and porcelain tile, the standard is L/360. For stone tile installation the standard is L/720. The L in this equation is the length of unsupported span under the installation in inches. This means that only half of the movement which would be allowable with a ceramic install would be allowable with a stone installation. There was a mention of using an uncoupling membrane for the second installation. A second layer of plywood is required when using uncoupling membrane. Check with the uncoupling membrane manufacturer for complete instructions on this type of installation. In response to your question of how to move from installing tile to teaching or training tile installation, I would give you two pieces of advice: increase your credentials, and increase your exposure. To increase your exposure, I would encourage you to attend trade shows, conventions and conferences and network with as many people as possible. 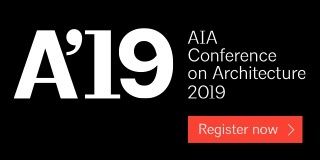 A few to attend would be TISE West/Surfaces, Coverings, and Total Solutions Plus. Also getting involved with Facebook could help you to meet more people who may help you with your endeavor. I would suggest joining and being an active part of sites like NTCA Members Only, Tile Geeks, Global Tile Posse, Tile Love 2.0, etc. The NTCA website (www.tile-assn.com) now has Career Center page, which includes both employers and job seekers. This is a place where you can create an account and post your resume, and search possible employment opportunities. Many manufacturers also have employment opportunities listed on their website. It’s said that success is when preparation meets opportunity. Hopefully the information above will help you prepare for your opportunity. The third gambling establishment to open on the soon-to-become famous Las Vegas Strip, today The Flamingo is the Strip’s oldest resort. In the mid-‘40s, businessman extraordinaire William “Billy” Wilkerson envisioned a grand hotel/resort with an energized casino, pool, spas and golf course drawing gamblers and celebrities from across the globe. At that time, almost all casinos already in Las Vegas were extremely rustic and followed a Western theme. That was about to change – enter architect George Vernon Russell, who brought his vision of a European-styled hotel/casino to reality. Clearly, The Flamingo was eons ahead of its time and via its luxury, major glitz and non-stop publicity campaign, created a bona fide blueprint for future resort/casinos in Las Vegas. 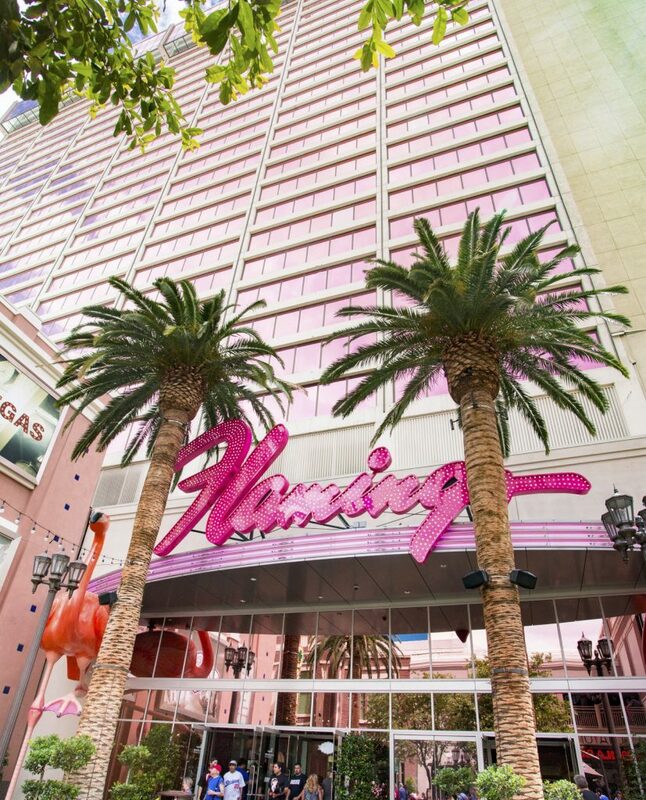 The Flamingo recently celebrated its 70th birthday, continuing to give visitors an authentic Vegas experience. The resort offers more than 3,500 guest rooms and suites, and features a sprawling 15-acre pool and wildlife habitat complete with waterfalls, island-like vegetation and tropical wildlife. In 2016, and as part of an extensive renovation plan from its owner Caesars Entertainment Corporation, a major $90 million complete guestroom renovation project was launched. Led by design firm ForrestPerkins, the process began in late August. Some rooms were opened to guests in November; final completion is expected for the second quarter of 2018. Long-time aficionados of the hotel needn’t worry, as the newly renovated rooms continue using the property’s well-known pink theme. 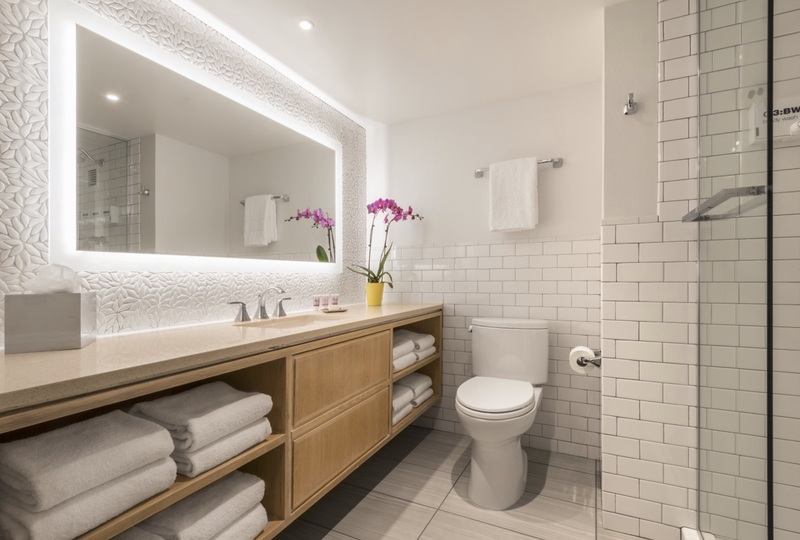 This new design program not only updates the guestrooms; it clearly brings the bathrooms up to today’s standards. All fully renovated rooms feature unique, contemporary and retro-chic designs with accents that celebrate The Flamingo’s rich history as a centerpiece of the Las Vegas Strip. ForrestPerkins’ rooms were tasked to “sparkle like glitter and shine like champagne, with vibrant hues of gold and bright pops of flamingo pink, keeping true to the property’s character and charisma.” Without question, the heralded design firm did not disappoint. This renovation included the previously mentioned 3,500 guest rooms, of which about a third were completed at press time. Getting the guest baths up to the designers’ stringent standards and making very, very tight deadlines overall, was a major undertaking for all trades contracted for this project. 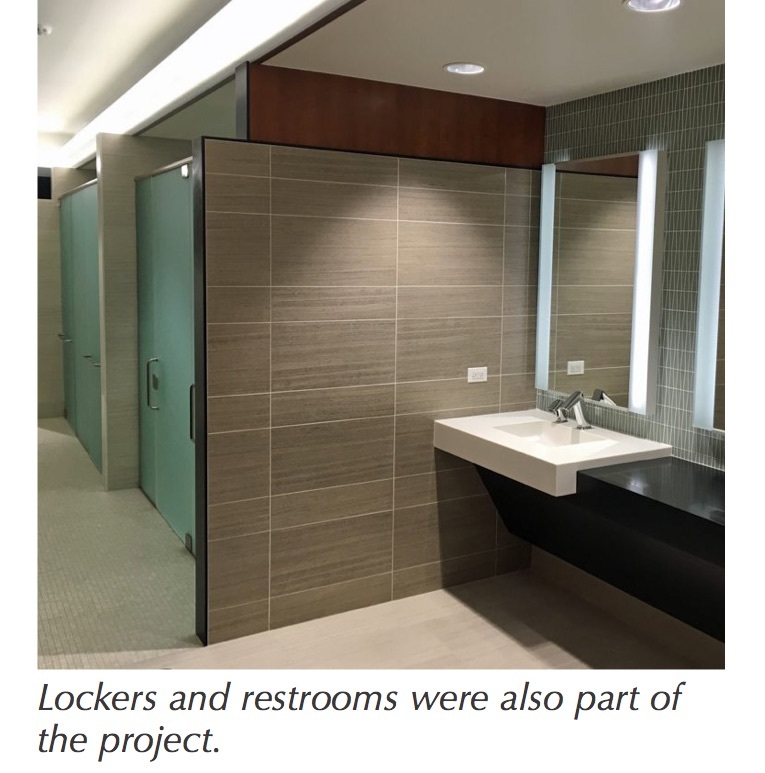 Mark A. Dopudja, Vice President of Gibson Tile Company, Las Vegas, Nev., stated, “We were contracted to handle the tile installation. The bathroom design called for a very high-quality, white Dal-Tile 3” x 6” product. We wanted a premium installation system, so we selected three Bostik materials: Hydroment Vivid Grout; D-2001 Ultra-Premium Mastic and Bostik GoldPlus for waterproofing. “Our reasons for choosing these materials were very basic,” continued Dopudja. “Vivid was chosen for time constraints. 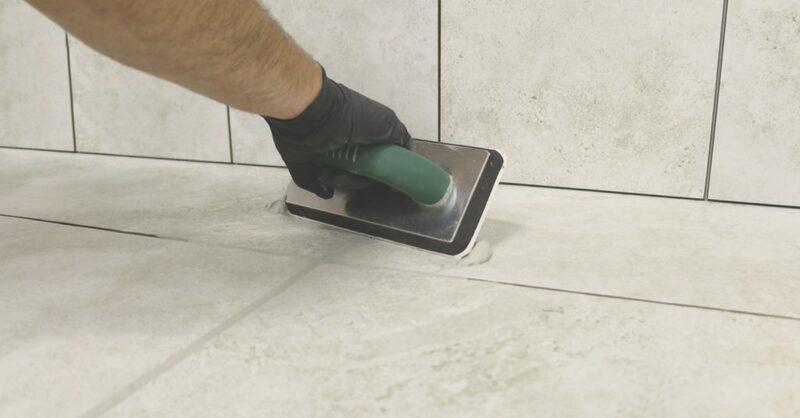 It is a rapid curing grout that offers ease of installation; a superior color-consistent grout joint and non-sag properties, which are ideal for wall tile projects. We did not have time to wait for an epoxy product, which takes considerably longer to cure, so Vivid was the ideal selection. The time frame was so tight, once furniture was in place, fixtures installers were right behind them. This was the procedure, floor-by-floor, throughout the entire hotel. Bostik Hydroment® Vivid™ is a rapid curing, premium grade, stain resistant cementitious grout for demanding commercial and residential projects. It offers consistent color technology with enhanced stain and efflorescence protection. And Vivid™ is exceptionally ease to clean up. This greatly contributes to the speed at which installers can perform their overall project work. Bostik D-2001® Ultra-Premium™ Mastic is a high performance adhesive for the interior installation of all types of ceramic and stone tile (except moisture sensitive marble). Ideal for fast and highly professional installations, it provides excellent vertical grab. 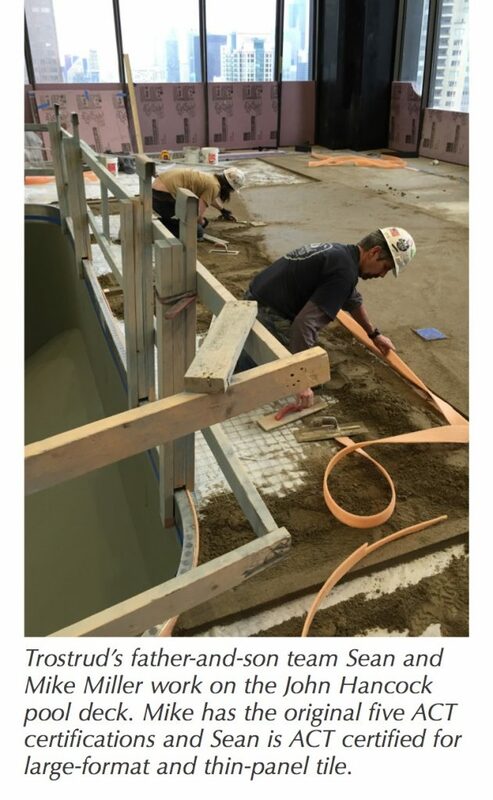 Lastly, Bostik GoldPlus™ is a ready-to-use, roller-applied, latex waterproofing and anti-fracture membrane for use beneath thinset ceramic tile installations on both vertical and horizontal surfaces. 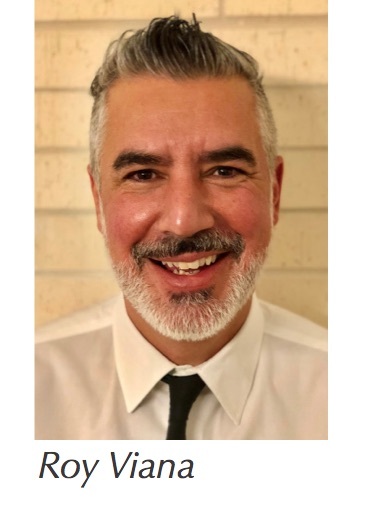 In case you missed it, the big NTCA University news at The International Surfaces Event (TISE West) in Las Vegas was that we have completed two of the five years of courses for a new hire that are required for a Department of Labor (DOL) apprentice program. And to catch you up on previous updates, we are developing five years of introductory courses for a new tile setter. If your company has a DOL-approved program, this means that the two-year finisher program is complete and we are starting to work on the three-year setter program. The second year of courses build on knowledge that was gained in the first year. And we included several introductory management courses such as crew task management, introduction to communication, and controlling confrontations. These courses were included to support someone who has been on the job for two years to lead grout crews and assist new hires to learn the tasks at which they are proficient. Even though these courses are being developed with the installer in mind, they aren’t meant SOLELY for a new finisher or setter. 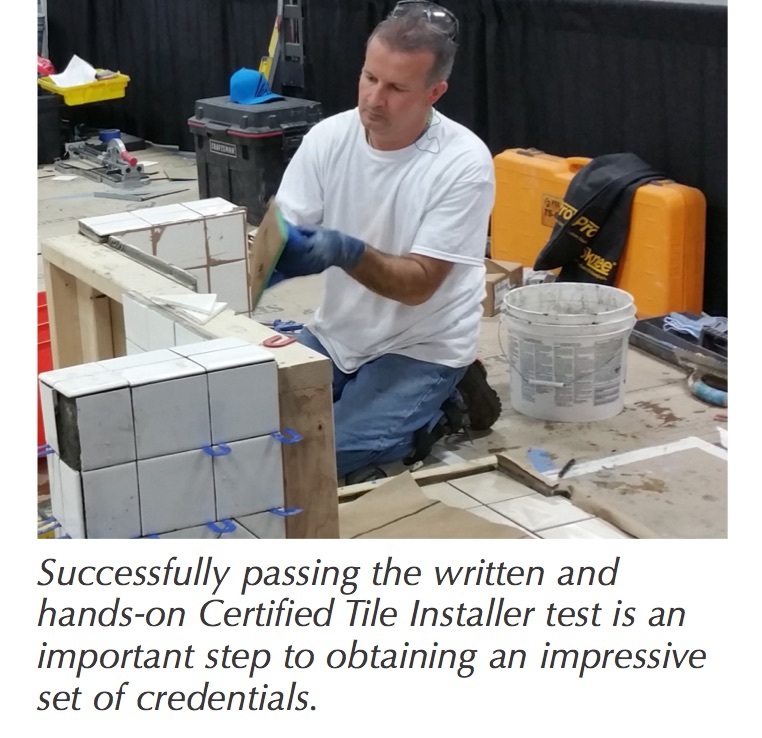 While there is a slant to the installer’s perspective, anyone working in the tile industry can benefit from taking these courses. For example, if you are a sales rep, do you understand the entire installation process? Do you know how your product fits in with all of the other steps? Or do you understand issues that may occur with an improper installation? All of these questions can be answered by taking these courses. Remember that NTCA University now has key word search capabilities. Let’s say that you want to take a course related to epoxy grout. In the past you would have to scroll through all of the courses to look for that particular course; now you can search for epoxy and/or grout and find a list of courses that may meet your needs. To purchase your subscription, you can visit the NTCA store at https://tile-assn.site-ym.com/store/ListProducts.aspx?catid=490398 or http://bit.ly/2taYmOO to make your purchase. If you have any questions or have ideas of courses that we should have available then please give me a call at 770-366-2566 or send me an e-mail at [email protected]. 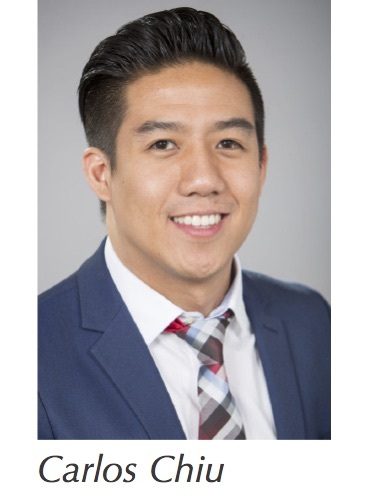 A year ago, we talked about the goal of increasing the professionalism of our membership. We want our NTCA brand and logo to carry a respected and positive meaning in the marketplace. One of the many ways we can contribute to this goal is to seek out and incorporate industry best practices into daily use in our businesses. This month let’s look at best practices in estimating every job we bid, and identify some ways we can improve outcomes. In other words, sell more jobs and increase bottom line profits. If your experience is anything like mine, there seems to be any number of competitors out there willing to work for wages rather than a profit. I often scratch my head and try and figure out how another bidder could have arrived at a price for a defined scope of work that’s 15%, 20% or even 30% less than mine. Once I get beyond the emotional response of, “They must have missed something” or “They are wrong and will lose money on this job,” I begin the process of checking my take-off quantities and pricing in hopes that I will find the mistake. Sometimes the error becomes obvious, but often it remains a mystery. There are many reasons that can account for these types of pricing differences and most often it’s a combination of several factors. Have a written guide – It is essential that you have a written guide outlining every step in the process. This will help to eliminate many of the most common mistakes in compiling an accurate cost estimate. Understand the scope of work – It’s critical to understand the scope of work to be priced. This may mean collecting and reading all the contract documents including the specifications, drawings, contracts, general conditions, special conditions, RFIs and addenda. Or, it might mean visiting the site and inspecting, measuring and identifying every aspect of work required to meet the customers’ expectations. Begin estimating the cost of the work – Once this is completed we know what will be required and can begin the process of estimating the cost of the work. This is an area where significant costs can be overlooked if we aren’t careful. If a contract requires that we include items such as composite clean-up, safety orientation, daily stretch and flex, maintained protection of completed work, full-time supervision, 30-hour OSHA classification, delivery during non-standard hours only, and many more, we can lose significant amounts of money. The way we perform our take-offs should be very consistent from job to job. Whether you use a scale and pencil or a digital system, use it the same way on every job. Work your way through each room, area and level of the building the same way each job. Look at every page, read every note. Repetition and consistency are your friends because they help to reduce omission errors. Begin the pricing process – Once the quantity take-off is complete, we can begin the pricing process. Again, this needs to be standardized so that you approach every bid the same way. I recommend using a system where all the items normally found in a job are pre-listed. After pricing all the direct costs including materials, freight, sales tax, delivery charges, labor, payroll taxes, insurance and labor burden, equipment, trucks, and a factor for miscellaneous small tools, remember to add all the indirect costs. These costs could be a factor of annual costs spread across all your projects such as safety training, supervision, craft training or apprenticeship. Overhead should include all your infrastructure costs such as office, warehouse rent, and all the costs associated with it. Remember to include management, estimating, human resources, regulation compliance, licensing, accounting, etc. This should be the total of all your fixed cost of doing business that is not actually installing tile work. Break out the questionable costs – WFG, crack-isolation membrane, epoxy grout etc. – in fact, anything in question. GCs have said they prefer this type of break-out vs. leaving these items out of the bid. Being the expert to the architect and GC makes the knowledgeable tile companies an asset that every good client needs. When they have a question, who do they call? You? Are you building loyal partnerships or just trying to get another job? Build to last. Calculate your profit margin – Now comes the fun part! Calculating your profit margin. Please see this video for a detailed explanation of Mark-up vs. Margin calculations. https://www.youtube.com/watch?v=BCo5i1mMO3E&t=527s or http://bit.ly/2r7wFL5. Sales Price minus Costs of Goods Sold divided by Sales Price. At this point, there are two main things every business owner needs to determine: how much do I spend on overhead each year and how much profit do I want to make each year? If you spend $100,000 each year on overhead, what must your sales be at a 15% gross margin to break even? The answer is $666,666 or 100,000/.15. Now how much net profit margin above overhead do you want to make each year? Let’s say it’s 10%. If your cost of goods sold is $566,666 the sales price must be $755,555 to produce a 25% gross margin that will pay your $100,000 overhead and give you a net profit margin of $88,888 for the year. Here’s one more thing to think about. Let’s say you forget to install expansion joints in two jobs and they fail and you’re required to replace them at a cost to you of $50,000. How much more work must you sell and perform at a 25% gross margin to breakeven on that loss? $50,000/.25 = $200,000 more or an additional 26% more work than your normal annual volume – and you don’t even make anything for it; you just replaced the $50,000 loss. It pays to do it right the first time. Let’s work smart and seek to be more profitable in 2018 by setting up a system of consistent estimating procedures – even if you’re doing them on the kitchen table – and make sure we price them with the correct margins to make a reasonable profit. NTCA University has several estimating courses in development – look for them in 2018!